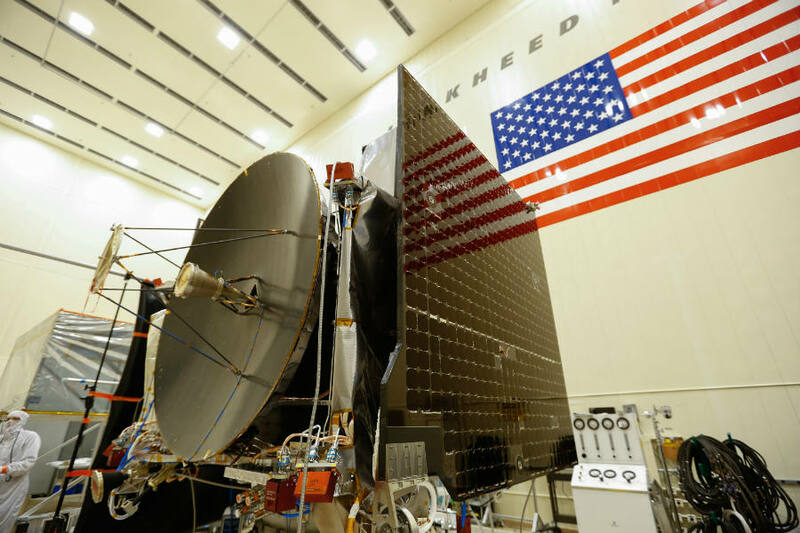 The Origins Spectral Interpretation Resource Identification Security – The Regolith Explorer spacecraft (OSIRIS-Rex) has a launching date already set for September 2016, NASA announced on Friday. The announcement was made after the vehicle’s arrival at the Kennedy Space Center in Florida. The spacecraft will be exploring the asteroid ‘Bennu’ to retrieve information about its composition. OSIRIS-Rex will arrive to the asteroid in 2018 and at least a 2.1-ounce sample of the place will be returning to Earth in 2023 for study. The sample could offer researchers insights about the asteroid and help investigate how planets formed and how life began. As well as it will help improve the current understanding of asteroids that could impact Earth, NASA stated. NASA assured that this will be a two-hour launch window opened at 7:05 p.m. EDT on September 8. NASA’s team managing the spacecraft is the Goddard Space Flight Center in Greenbelt, Maryland, which provides the mission management, system engineering and the safety and mission assurance for the soon-to-be launch exploring vehicle. This is the first time a mission to explore an asteroid is ever held in human history. The analysis of the returned sample could also reveal how water and organic material may have arrived at Earth in the past, as reported by Tech Times. OSIRIS-Rex was transported from Lockheed Martin in Colorado through an U.S. Air Force C-17 plane to now undergo final preparation for its mission in September. The cost of the mission will be about $800 million without launching costs, that are about $183.5 million. The project’s principal investigator is Dante Lauretta from the University of Arizona, discussed some of the motivations that have enabled him to go forward with the project, from his personal reasons to a better overall understanding about life’s origins and new materials. “The asteroids record the earliest stages of the solar system, so it really is time capsule from the very dawn in the history of our solar system,” Lauretta said told Space Flight Now. “My dream is that we find something that is unique, that is not represented in our meteorite collection, that is really organically-rich material on the surface of this asteroid that holds all kinds of scientific treasures about the origin of life and organic molecular evolution in the solar system,” he added. The technology development for the OSIRIS-Rex was inspired in some already proven and successful samples from previous missions. The twin solar panels on the spacecraft are reminiscent of those on three other previous missions such as NASA’s Dawn probe which is photographing the dwarf planet Ceres; the Mars Phoenix lander that touched down on Mars in 2008; and the InSight lander scheduled for launch in 2018, according to the American Institute of Aeronautics and Astronautics (AIAA). The built-in camera in the OSIRIS-Rex, OCAMS, is one of the many cameras already developed by the University of Arizona. This device has been used by the imager for Mars Pathfinder and two systems on Phoenix. The robotic arm in the OSIRIS-Rex is also like the Phoenix and InSight. In addition, the propulsion system that will be used in the September launch is a monopropellant hydrazine system borrowed from the Mars Reconnaissance Orbiter, the AIAA also stated. The inspiration from previous designs is an advantage itself from an economic and even a practical view. It can keep the cost downs and protect billion dollars in investment and years of toil by using proven spacecrafts designs that avoid some failed attempts. As it was previously commented, the spacecraft will have to explore and map the asteroid and return a sample to Earth for further analysis. The asteroid exploration mission will last exactly 505 days at the asteroid and then the sample will be sent to Earth. The sample return capsule is another design previously tested and used by past NASA missions. Stardust collected particles from comet Wild-2 in January 2004 and the material was returned to Earth in a muffin-shaped container at Utah Test and Training Range two years later after its arrival. The one in OSIRIS-Rex is nearly identical and will also make its way back to Earth from the asteroid to the high Utah desert. However, this sample collection is not as simple as it seems, it takes several steps to gather the 2.1-ounce sample. An specific site has to be chosen first after the asteroid’s exploration. Later, the vehicle will approach the site but not land on it. 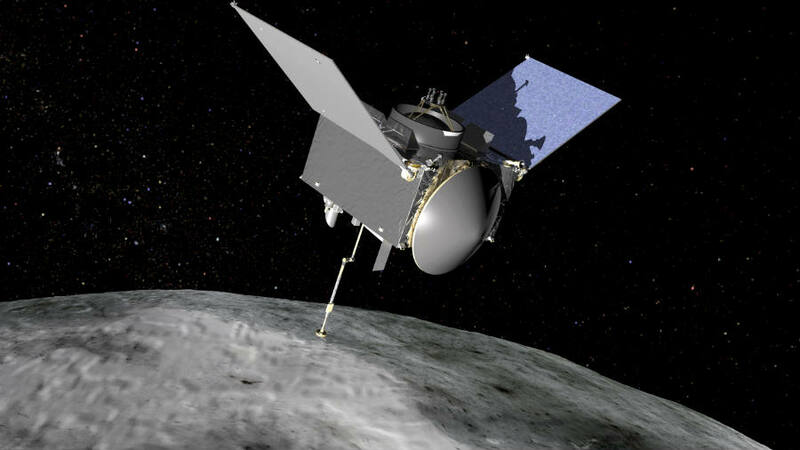 The OSIRIS-Rex will use a robotic arm to gather the sample y spraying a jet of nitrogen gas at the surface of the asteroid and collecting the loose regolith in a suction cup. The process was tested in a reduced-gravity environment to assure its proper functionality in the real mission. According to the AIAA, the process was proved in the “vomit comet” airplane, and each test has yielded encouraging results.